eMastered is a new tool entering an exciting field that has emerged in the past couple of years – cloud-based mastering that makes it easy to give your music a more professional finished sound. In many ways, eMastered is similar to Landr, a service we’ve written about in the past. 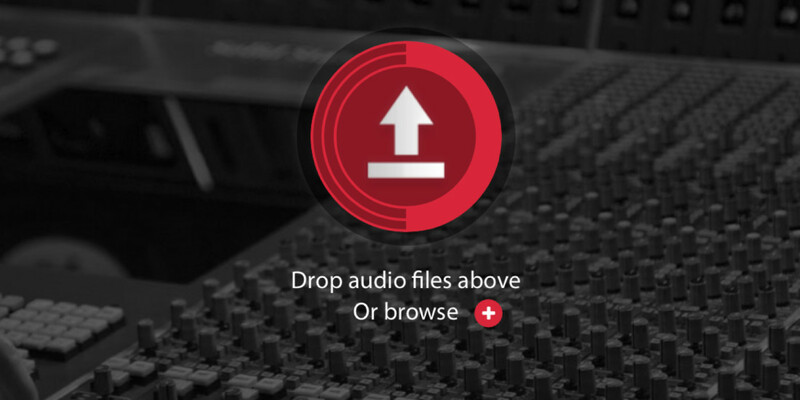 With both, you upload your music, wait a minute or two and then you have access to an automatically mastered version. Where eMastered hopes to set itself apart is that its algorithms are based on the work of Grammy-winning engineer Smith Carlson on hits from artists and producers like Timbaland, Kanye West, Whitney Houston, Pharrell and Max Martin. He was credited in the Grammy win for Taylor Swift’s 1989 this year, and techniques used in his work have been integrated into the way eMastered analyzes and processes music. How do eMastered and Landr work in comparison? I tried both on music I’d produced myself and found eMastered to be faster, with songs processed and available for download in under a minute versus Landr’s two minutes or so for a download to be sent by email. In terms of the quality of the master you get back, the comparison is entirely subjective – they both make your music louder and make tweaks to the sound to boost the bass, emphasise the vocals or whatever else the algorithms determine needs to be done. However, really it’s down to your own ears and tastes as to what you prefer. Initial tests leave me feeling that eMastered has a slightly ‘sweeter’ sound, but as I say – entirely subjective. Another thing to consider is that Landr is a more mature product, so it has more features and options. While it takes longer to produce a final master, it gives you three different loudness options compared to eMastered’s one. Landr also offers a desktop app for Mac to integrate better with your production workflow, and as of today a new algorithm is available specifically for making DJ mixes sound better. It’ll soon work with Native Instruments’ Stems format to help musicians make ‘remixable’ versions of their songs for DJs, too. eMastered is currently free to use, whereas Landr can cost up to $25 per month depending on how you want to use it. Even with the top plan, you’ll have to pay extra for high-quality 24-bit audio masters. eMastered currently offers these at no charge, and that alone will be enough to swing some people for now. At some point, of course, eMastered will start charging although no plans have been announced yet. The truly incredible thing is that both services exist at all. As someone who makes music but doesn’t have the budget to get everything I make mastered by a skilled human engineer, or the time to learn to master really well on my own, eMastered and Landr are a revelation. If you’re a musician, give them a go and compare them for yourself.